Compatibility coming sometime this year. A recent rumor claiming that PC drivers weren't coming to Xbox One controllers popped up earlier this week on the popular gaming forum website NeoGAF. Albert Penello, director of product planning at Microsoft, quickly debunked the speculation, saying PC compatibility will come to current controllers. "This is 100-percent wrong," Penello responded on the forum website. "When the drivers become available, they will work with the existing controllers. There is no plan to do a new, separate controller that only works on Windows. It will be the same as it is on Xbox 360 — the Xbox One controller you have today will work. That's not to say that we may not ship also a PC SKU of the Xbox One controller, much like we do on Xbox 360." Microsoft said that PC functionality was coming to the Xbox One controller last year, with compatibility arriving sometime in 2014. 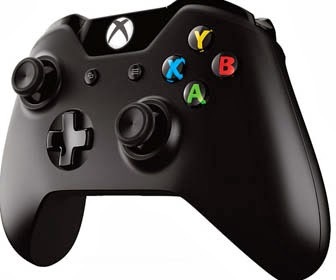 "There is some work that we need to do to make sure that existing PC games that support the Xbox 360 controller will work with the Xbox One controller," a Microsoft spokesperson said at the time. "... We know people want to use the Xbox One controller on their PC, and we do too — we expect to have the functionality available in 2014."